Electric South and the Goethe-Institut present „New Dimensions – Virtual Reality Africa“, a selection of Virtual Reality (VR) productions from Kenya, Senegal and Ghana. New Dimensions - Virtual Reality Africa Virtual Reality (VR) is a technology that operates in between film, visual arts, gaming and other disciplines. While it has mostly been shaped in western industrial countries so far, the Goethe-Institut and Cape Town based non-profit organization Electric South aim to provide funding support and mentorship to African storytellers and artists in the development and production of their own VR ideas, and introducing African and international audiences to African-produced VR. Electric South and the Goethe-Institut present „New Dimensions – Virtual Reality Africa“, a selection of Virtual Reality (VR) productions from Kenya, Senegal and Ghana. Each of these works offers a view of the vibrant, diverse and ever-changing cultural landscape of contemporary Africa. An exclusive preview of works in progress was on show at the 2017 “Berlinale Africa Hub” at the 67th Berlin International Film Festival (Berlinale) in February. Included is the VR work “Spirit Robot” by Ghanaian science fiction author and founder of the Afrocyberpunk website Jonathan Dotse who explored the Chale Wote Street Art Festival in Accra. The festival is driving an art renaissance in the city’s public spaces. Kenyan photographer Ng’endo Mukii produced a poetic city symphony on Nairobi in the VR piece “Nairobi Berries”, consisting of her lyrical voice-over alongside surreal, layered images of the city. Her synopsis reads “In the empty spaces we cannot claim as our own, in forests full of smoke and beneath still waters, two women and a man wrangle. Each must hollow out the other’s core for fruits promised but only ever borne in dreams. For this is Nairobi, the city we call home.” Senegalese fashion designer Selly Raby Kane presents a magical 360 piece, in which a little girl is chosen to discover the invisible Dakar. Kenyan “The Nest Collective” created an interactive work set in the distant future, when a group of Africans leave the Earth to create a new colony. “New Dimensions” is presented by Electric South and the Goethe-Institut, supported by Big World Cinema, Blue Ice Docs and the Bertha Foundation. Image supplied Ng'endo Mukii is an award-winning film director. She is most well-known for Yellow Fever, her documentary-animation exploring Western influences on African women's ideals of beauty. 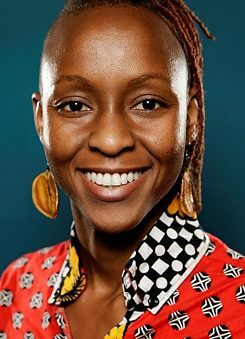 Her films have won accolades at the Chicago International Film Festival, Oberhausen Short Film Festival, Africa Magic Viewers Choice Awards, and the Kenya International Film Festival, among many more. Her work focuses on relationships, the separation between perception and reality, and the use of moving image to represent unspoken truths. She was invited to the 2015 Design Indaba conference. During her Indaba presentation, Film Taxidermy and Re-Animation, she proposed the use of animation as a means of re-humanizing the ‘indigenous’ image. She is an alumni of the Bridging The Gap program supported by Mujeres Por Africa, Berlinale Talents 2015 and 2014, and Durban Talents 2013. She is a recipient of the Focus Features Africa First and DocuBox Kenya film grants. Ng’endo is a graduate of the Rhode Island School of Design in the US and holds a Masters of Arts in Animation from the Royal College of Art in London. She spends her time between Nairobi and Tsavo, animating little children, photographing dung beetles, and running away from scorpions. Image supplied Jonathan Dotse is an afrofuturist, freelance philosopher, and speculative fiction writer based in Accra, Ghana. 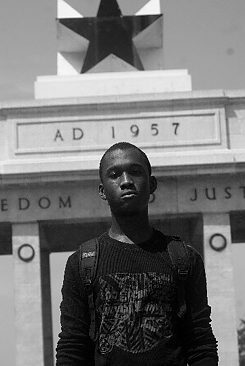 He is currently working on his debut novel, a cyberpunk mystery/thriller set in the sprawling metropolis of Accra in the middle of the 21st century. Jonathan has contributed articles and short stories to a variety of print and online publications, including Jungle Jim, Acceler8or, and Brave New Now. He created the AfroCyberPunk blog in 2010 while studying Management Information Systems at Ashesi University. In 2015 Jonathan collaborated with Kabiru Seidu to form NubianVR, an Accra-based virtual reality studio which produced PANDORA, their first 360-degree short film. Image supplied Jim Chuchu is a visual artist, filmmaker and musician from Nairobi, Kenya. 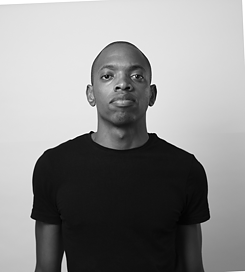 He is also the co-founder and Creative Director at the NEST, a multidisciplinary art space in Nairobi. His first short film (Homecoming) was one of six short fiction films that formed the African Metropolis series and screened at the Toronto International Film Festival, Rotterdam, Locarno and over 10 other festivals. Stories of Our Lives is his first feature film, created as part of the ten-member NEST Collective. Image supplied Selly Raby Kane belongs to a new generation of urban, curious and open-to-the-world artists and designers who are bringing a new energy to Senegalese culture. Born and raised in the Senegalese capital, she studied at French fashion business school Mod’Spé in Paris and lived in the US before travelling in Africa. 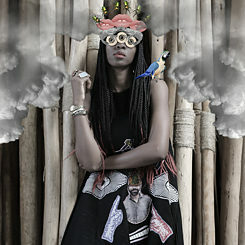 Along the way she developed an eclectic, uninhibited style that owes as much to street artist Banksy as it does to her love of traditional West African textiles. Through her eponymous label (formerly called Seraka), Kane expresses her strong and rebellious personality, frequently using three-dimensional moulded shapes, bold pattern and unusual materials such as PVC and fake hair.